Rotary International is the world’s first service club organization, with more than 1.2 million members in 33,000 clubs worldwide. Rotary club members are volunteers who work locally, regionally and internationally to combat hunger, improve health and sanitation, provide education and job training, promote peace, and eradicate polio under the motto “Service Above Self”. 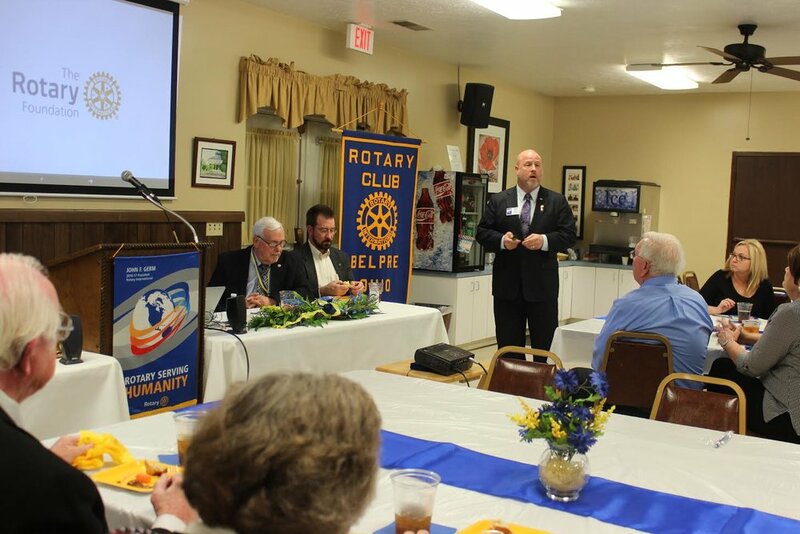 The Belpre Rotary Club is one of 59 Rotary Clubs in District 6690 and one of 35,000 clubs internationally. The Club meets weekly, every Wednesday, at the Redwood Restaurant in Belpre, OH and invites community members to be a guest at any time. The Rotary Club of Belpre membership consists of business men and women of the Belpre, Ohio area. The Club ranges in size between 25 and 30 members and operates independently, but receives support from District 6690, as do all of the 59 clubs within the district. The Rotary Calendar Year runs between two years, from July 1 to June 30. Membership dues are $110 per quarter, which includes a weekly meal at the Redwood Restaurant. Since the Rotary Club of Belpre was started in 1996, the Club has given back over $320,000 to support the Belpre and Warren communities, as well as Rotary International projects. The Rotary Club of Belpre has met or exceeded its District 6690 Rotary Foundation Goals every year since the club was formed in April 1996. 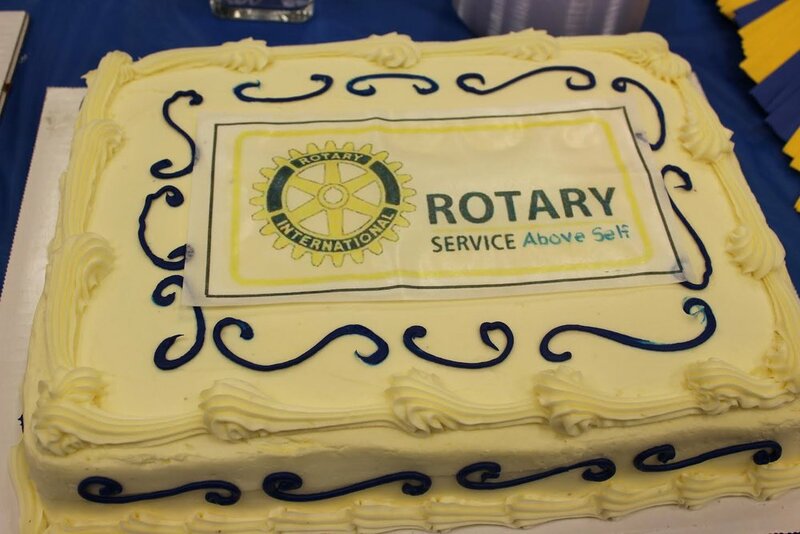 The Club has donated over $53,000 to the Rotary Foundation, which provides services all other the World. The Club has eleven active members that are Paul Harris Fellows. During the 2016-2017 Rotary Year, most all Club Members donated at least $26.50 to the Foundation. $26.50 was the amount that generated a Paul Harris Fellow when the Foundation was created in February 1907. Fourth, The advancement of international understanding, goodwill, and peace through a world of fellowship of business and professional persons united in the ideal of service. "To me, Rotary membership means new friendships, increased community connections, local business support, and opportunities to give back to my community according to my interests and talents. I love photography and writing, and my interests are put to use in helping to grow our club reach. I value the reputation our club has as a "giving" group, and many of our donations stay in the local area." A great way to give back! I joined Rotary because it is a great way to 'give back' to a community that has been so good to me. The community projects that Rotary participates in or sponsors are worthwhile and you can see their benefits almost immediately. From scholarships for one deserving Belpre or Warren High student; planting trees in Belpre parks; building the greenhouse at Belpre High School; financing annual trips to help the people in Central America with medical, optic and dental care are all in a year's work at Rotary. Rotary is also a networking club for business leaders, business owners, city management and folks that are interested in making Belpre a better place to work, live and raise a family. Our meetings are filled with news around town; project updates; business news; Rotary International news; plus lots and lots of laughter and a great lunch. Our Belpre Rotary is a small group with big accomplishments. A vital part of the Belpre community! "The Belpre Rotary was the first group I was invited to when I moved to Belpre. The group has helped me develop relationships, learn about the community, and serve the community. I value my Rotary relationships not only for the benefit they provide to network with community leaders, but also the personal support and encouragement I receive on a weekly basis. Our Belpre Rotary is more than a group that meets once a week, but actively pursues ways to help the community grow. Being part of Rotary enables me to not only be part of a group, but a vital part of the Belpre community." Smoot Theatre Boy's Quartet entertained the club with some old standards. Belpre Rotarians Bob Rauch, Shirley Brown, Rev. Jim Condrey, Cathy Buttermore, and Dave Posey welcome the community to a drug prevention Awareness program (Be Aware) at Belpre High School, sponsored through Rotary funds and efforts. Rotarian Bob McCloy and President Tim Lyndsay welcomed Washington County Commissioner David White to discuss activities of the Commission in the county. Attend a meeting and see what the Club is all about.